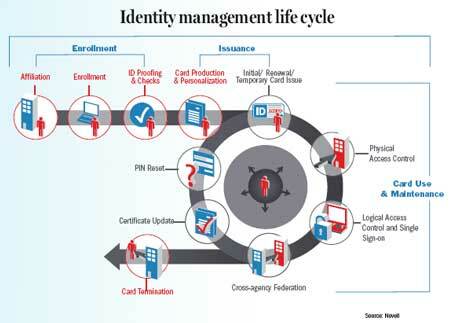 The ID management business sparkles with high expectations, but is it still in a hurry-up-and-wait mode? to arrive than some had expected. are getting the cards out." Spending on the 10 largest U.S.
and flattening in 2010 and 2011. ID cards for frequent airline travelers. a finite number of programs. potential in the HSPD-12 market,"
that several major programs ? until the end of 2009.
insisted on a contactless reader. behind the need," Price said. threaten privacy and civil liberties. can be used at different agencies. simple and easy to implement,"
see the value of it."